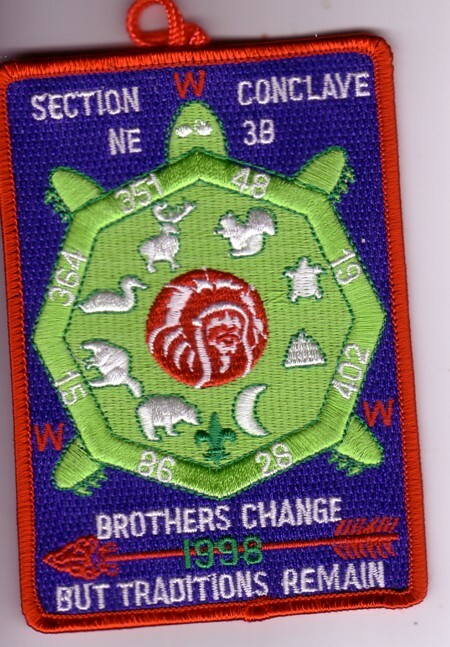 Here is another item I picked up at the Shu Shu Gah Lodge #24 TOR last weekend for my NYS Section Conclave collection. At first I just thought I would have to ask for help on narrowing down the year of the event. 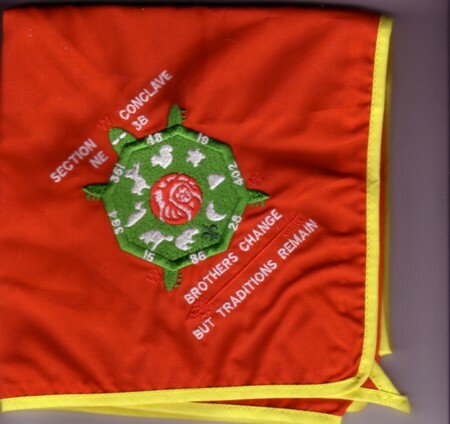 I dug through my unordered collection and found the pocket patch, which was dated (1998), but what caught my eye on both this patch and the neckerchief was the 8th Lodge. Ajapeu Lodge #351, is from Vermont and I never thought that it was part of any NY section, unlike the Connecticut Lodges which have been part of NE-3A and now NE-2C have over the years. 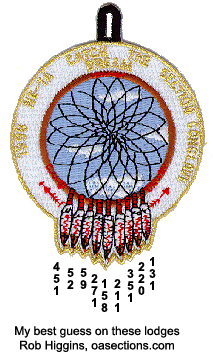 The 1999 NE-3B Section Conclave patch does not show Ajapeu Lodge #351, and otherwise matches the lodges listed on the OA Section List. 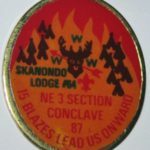 I would also say that portions, if not all, of Ajapeu #351 were invited to the attend the event, perhaps because of one lodge’s proximity to the other. Similar to the joint conclave of NE-3A and NE-3B in 1995. This, of course, is just a hypothesis. Ajapeu 351 was definitely moved to NE-1A as a result of the ’97 Realignment. However, VT does have close ties with upstate NY, and was in NE-2A from 1989-94. It’s certainly possible that they sent a small contingent to visit; however, being listed on the patch means (at least to me) that they officially attended, even being out of that section– which does happen. I’ll post any new info I can find.